Below are the risk disclosures provided by the FDA for LASIK eye surgery and Orthokeratology therapy. We believe that Orthokeratology can provide corrected daytime vision without the need of daytime contact lenses or eyeglasses, while not having to undergo the risks of LASIK surgery. Additionally, most LASIK patients will need additional vision correction as they age, so LASIK surgery is at best a medium term vision correction surgical treatment. Most LASIK patients will need eyeglasses, contacts or additional surgeries in later years, especially as patients need near vision assistance due to the onset of presbyopia in starting around the age of 40. The Federal Trade Commission has listed additional LASIK Risks and Complications on their website. There is a small risk involved when any contact lens is worn. It is not expected that contact lenses for orthokeratology will provide a risk that is greater than other rigid gas permeable contact lenses. The two most common side effects which occur in rigid contact lens wearers are corneal edema and corneal staining. It is anticipated that these two side effects will also occur in some wearers of contact lenses for orthokeratology. 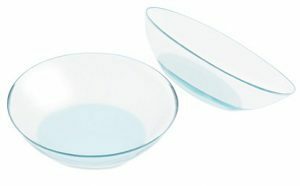 Other side effects which sometimes occur in all contact lens wearers are pain, redness, tearing, irritation, discharge, abrasion of the eye or distortion of vision. These are usually temporary conditions if the contact lenses are removed promptly and professional care is obtained. In rare instances, there may occur permanent corneal scarring, decreased vision, infections of the eye, corneal ulcer, iritis, or neovascularization. The occurrence of these side effects should be minimized or completely eliminated if proper schedule of care is followed. You should remove your contact lenses if any abnormal signs are present. Never wear your contact lenses while in the presence of noxious substances. Be certain to return for all follow-up visits required by your eyecare practitioner. Acute and subacute inflammations or infection of the anterior chamber of the eye. Any eye disease, injury, or abnormality that affects the cornea, conjunctiva or eyelids. Corneal hypoesthesia (reduced corneal sensitivity) if not aphakic. Any systemic disease which may affect the eye or be exacerbated by wearing contact lenses. Allergic reactions of ocular surfaces or adnexa which may be induced or exaggerated by wearing contact lenses or use of contact lens solutions. Allergy to any ingredient, such as mercury or Thimerosal, in a solution which is to be used to care for your TN contact lenses for orthokeratology. Any active corneal infection (bacterial, fungal or viral).